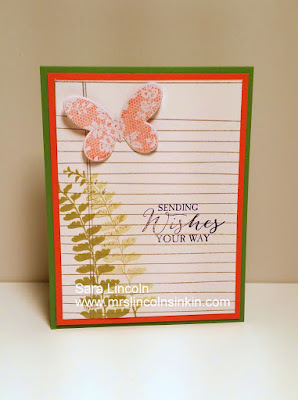 I used the leaf image from Butterfly Basics and stamped it in Pear Pizzazz, lifted my stamped slightly, moved it a little bit and then stamped it again now giving it a lighter shade of color. My base measures average size of 4 1/4" x 11" scored at 5 1/2". 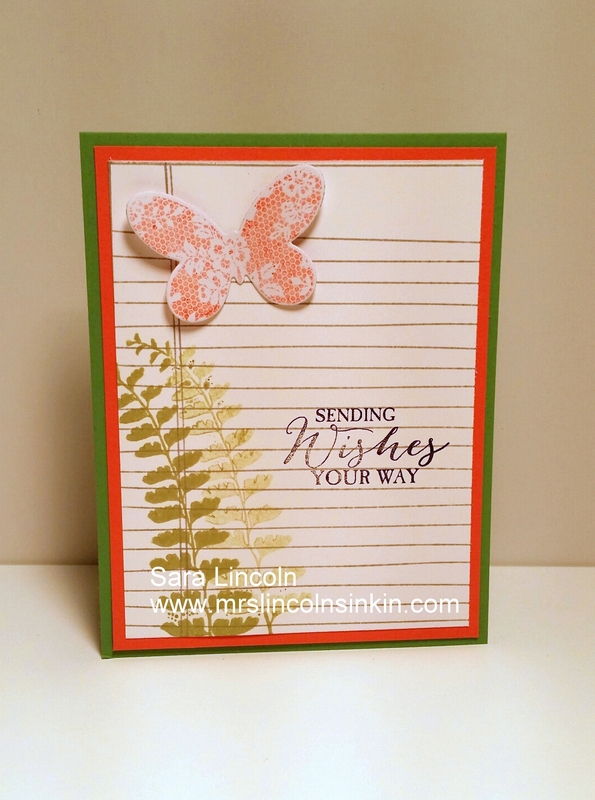 The base of the card is in the Cucumber Crush card stock with the second layer being in the Calypso Coral. This layer measures 4" x 5 1/4". Don't forget to check out the new Weekly Deals that were released today:) YAY!! !